Waiting is not wasting time, it is training time. But waiting is hard and waiting, well, requires patience. But what if waiting well is like riding the waves and an opportunity to find pleasure in the experiences we are going through? 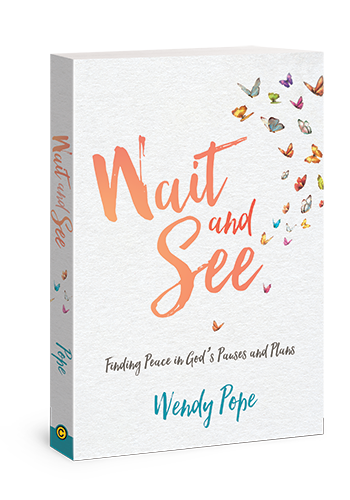 This week Kathi talks with Wendy Pope about her new book Wait and See, Finding Peace in God’s Pauses and Plans. Wendy shares how it took 13 years for this book to be published, but through the waiting God worked in such a way, she would not trade the relationship built with Jesus for the world. Often times the waiting is where God actually prepares us for the work he already has already prepared for us. What are you going to take away from a life worth waiting well? Listen in and discover the value in waiting well. Wendy is the author of Wait and See. She is a contributing author to the Real-Life Women’s Devotional Bible, Encouragement for Today: Devotions for Daily Living, The Reason We Speak, and God’s Purpose for Every Woman. Wendy writes devotions for Proverbs 31 Ministries’Encouragement for Today and is a content provider for the free online devotion app First 5 as well as a member of the Proverbs 31 Ministries speaker team. For most of America, the day after Thanksgiving will be spent trying to get the most for the least amount of money. The winner will be the person who can grab the most toys, clothes, gadgets and doo-dads for the people on their list. Whether they need them or not. Now, hear me well: there is nothing wrong with being a wise shopper and looking for the best deal on something that you know you want or something that someone you love wants, and you want to give it to them. But what if you want to start building different values into your family taking back Black Friday is a great way – and day – to start. As someone who has been in the position of being an unemployed single mom, I remember all too well having to rely on other people to make the holidays happen for my kids. I remember desperately wanting to get my kids certain toys, or a shirt that I knew my daughter would love, and not being able to because of my lack of funds. The highlight of my Christmas that year (besides seeing how other people stepped in to love on my kids, and myself) was the absolute thrill of finding some gently used items for my kiddos at Goodwill. I was able to get a little creative with a couple of finds at the local thrift store; there was the like-new art kit for my daughter, and an un-opened pack of Yu-gi-oh cards for my son (at the time, that was the score of all scores.) I found a couple of books from the series they were reading, and even a really cute top that I was able to wear to some Christmas parties. As much as I want to make Jesus the center of everything I do during the holidays, I long in my mommy heart to bless my kids in a way that will demonstrate that I care about the unique, wonderful people they are. And sometimes, that means Legos or a tube of lip gloss. Sadly, a lot of the time, donation centers are used instead of a recycling can – they receive so much unusable clothing (which, I do understand, that some centers can sell by the pound to recover some of the money for processing those items. Check with your donation center to see if they welcome this type of donation before making it.) Some of us wait until an item is unusable, undesirable, unfashionable and just plain unworthy until we are willing to get rid of it. But what about donating those new red kitten heels that you wore once and never wore again because they pinched your feet. Instead of holding onto them for years, (because they cost so much money!) how about donating them and letting a mom with a limited budget feel pretty in those shoes. Or how about the Barbie that your daughter had-to-have, but then lost interest in about twelve days after her birthday. If she no longer loves it, ask her to donate it so that some other little girl will have the chance to love it. What if we spent the day clearing out our homes in preparation of the abundance that’s about to hit in the next month instead of fighting crowds to get the best barging to fill up our home. What if we taught our kids that there is even more joy in passing on things that others will love than owning everything and enjoying nothing? What if winning was giving everything away until everything in your home was something you use, love, or would buy again. What if Black Friday was marked, not by how much we buy, but how much we give? Black Friday is November 27th this year. Would you consider joining me in figuring out how you can bless other families that will struggle to get something under the tree this year? I can’t tell you how much this idea excites me: the thought of some of you, leading your families in the charge not only to declutter, but to give instead of focusing on all you can get? It just gives me shivers. Grab some extra boxes (or for clothes and toys, garbage bags). If you don’t have extra boxes piled up, just waiting for disposal, find a friend who shops with Amazon Pantry. I promise, they will have all the boxes you need. With the others you live with, come up with a goal. Let me be so bold as to challenge you: could you come up with 100 items to donate? 100 is doable, but will still challenge you and your loved ones to stretch. Set your goal and then work towards it together. So, are you in? Tell me what you think about the challenge and invite others to join in. Remember to let let me know what you did and how it blessed you and your family at info@kathilipp.com or at my Facebook page. It was the year that I decided that I was going to be absolutely intentional about keeping it a sacred Christmas. I had my Bible readings focused on the Christ story, I bought an Advent devotional, and I carefully selected a play list that was filled with songs that kept my heart focused on our Savior. Until I realized I was all out of Scotch tape. The night before our Bible Study Christmas ornament exchange. And that’s when I lost my Jesus. You are going to get a lot of great advice about keeping your heart in the right place when it comes to preparing for Christmas. Which is great. But I’ve come to find if I also keep my head in the right space, and make some smart decisions as early as possible, that goes a long way to giving my heart some protection. So here are a few practical things to think through now before Christmas hits you in the face. Talk to friends and family early. Let other people help – no really – let them help. There are no awards for people who pull off a holiday with no help (only sore feet and bitter attitudes.) If you are the one who is hosting the holiday, let others help (and if you are shy on offers, feel free to ask!) Here are a couple of ways to make it a family – and friends – affair. Use www.signupgenius.com to create a list of all the dishes you need that others can bring. Be specific. (You don’t want to say “Salad” and have three people bring chicken salad.) Think of it this way – when people choose what they can bring, they will bring their “specialty”. Having a table of everyone’s best foods is a GREAT way have the best meal of the year. For years, I would have people show up at my house for a holiday, and the first question they would ask is “How can I help?” The problem? All the things that could have been done with little prep were already done. Talk to your family early about limits. Do you want to put a limit on the number of gifts? The amount of the gifts? Do a gift exchange? Maybe not exchanging at all? We have a lot of young adults in the family and they can’t all afford gifts for everyone, so we use www.elfster.com (a virtual way of choosing names from a hat), and keep it affordable for everyone. My anxiety level goes up several notches whenever I need to go to the mall between October 15th and December 31st. I know that I’ll probably have to make one trip there (holding my breath until I can get away from the crowds –I don’t like crowds..) but for everything else, I’ve found ways around it. Amazon – Nuff’ said. I have Amazon Prime (one of the best investments I’ve made,) that I use to purchase many of our gifts, and use Prime Pantry to get non-perishables for cooking delivered right to my door. Etsy – I have bought the best, thoughtful, gifts here. If your child (or parent) is into it, someone on Etsy is into it. A couple of years ago, I bought my mom a rock that was shaped and painted like a VW Bug. (OK – it sounds weird, but my mom had a Bug for thirty years, and the rock was super cute.) My mom loved it. Just loved it. That is not something that you could pick up on Amazon… Plus, supporting artists. Double win in my book. Looking for encouragement to help you recover from that pesky problem of perfectionism? Today’s featured book is Get Yourself Organized for Christmas. You can enter to win a signed copy by leaving a comment directly on Kathi’s blog. PLUS, you’ll also be entered into the grand prize drawing for the Wrapped In Grace gift package: signed copies of all five of our books, a $100 Visa gift card, and a bunch of other fun goodies. All winners will be announced Saturday, October 24th at http://www.WrappedInGrace.info. 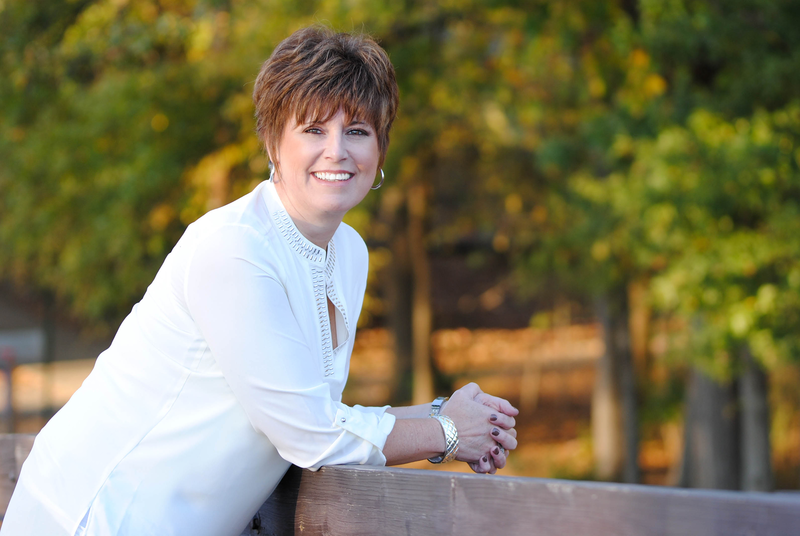 Kathi Lipp is a national speaker and the author of fifteen books including Clutter Free, Hot Mama:12 Secrets to a Sizzling Hot Marriage, The Get Yourself Organized Project, The Husband Project and The Cure for the Perfect Life. She is a frequent guest on radio and TV and has been named Focus on the Family radio’s “Best of Broadcast”. She is the host of the popular podcast You’ve Got This with Kathi Lipp. In the last installment of our custom photo gift series, I wanted to aim for something different for good ole’ dad. Dads can be the hardest person to find a gift for and you don’t usually think of him as the recipient of a photo gift. However, I think this wood transfer idea says manly and heartfelt, perfect for Father’s Day! A piece of Wood— the possibilities here are endless. Make sure you sand down and clean off the surface you are transferring to for best results. 1. Remove the labels from the shipping labels and throw them away. The parts you want to use are the backing of the labels. 2. If there are perforated seams on the back of the paper, tape them so they don’t break during printing or application. 3. Spray the back of the paper with an even coat of the spray-on sealer. Let it dry completely. 4. Use your foam brush to add a thin layer of glue on the entire backing and let it dry. 5. Time to print! Pick your favorite digital picture and print it on the paper you have prepped with the spray-on sealer and glue. You want to make sure you print on the side with the glue. * Be careful not to smudge your picture once it has printed. 6. With a foam brush, apply the matte gel to the wood you are using. Make sure to coat the entire surface. 7. Immediately place your image face down on the wood. Do not pick up and replace. With your credit card and working from the center out to the edges, press and push out air bubbles. 8. Let it dry for 90 minutes. Then slowly peel the paper from the wood. 9. Add a coat of clear sealer and you have a really cool gift! What is your favorite photo gift idea? Do you have another great idea for a photo gift for Father’s Day? Share them here! It’s time for our second idea in our create a custom photo gift series. This week we are featuring a custom photo necklace. Isn’t this too cute?! These are fun because you can do pretty much anything you want with them – gold, silver, round, square, add charms, black and white… you get it. Make it personal. The first thing you want to do is decide who you want to make the necklace for. Make your selections accordingly. * For best results: if printing a digital photo, use a card stock or heavy weight paper and allow to dry at least 4 hours. Spraying your photo with a couple of coats of Polyurethane will also help to ensure your ink will not smudge. Put a small amount of your diamond glaze on the bottom of your glass piece. Using a toothpick, smear the diamond glaze around the glass piece. If using modpodge, brush it on the entire piece. Press your photo onto the glaze or modgepodge ensuring you don’t move it around. Press out the bubbles. Dry overnight. Squeeze a SMALL amount of E-6000 onto the pendant then press the glass piece with photo into it. Using the X-Acto knife, remove excess glue around edges. Attach pendant to your favorite chain. This one takes a little more time and preparation than the coasters but its absolutely worth the time and effort!